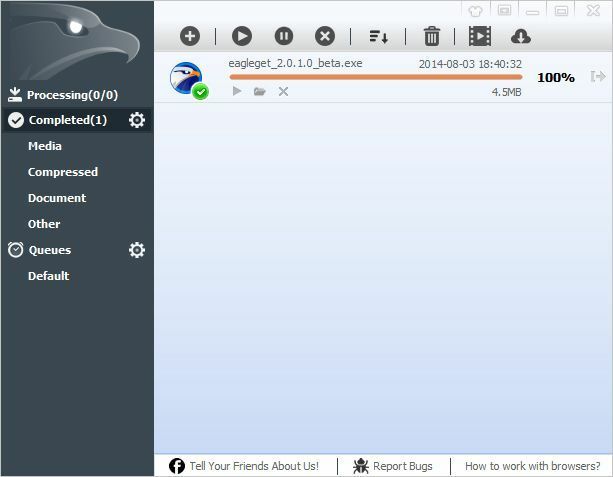 EagleGet is a free all-in-one download manager; it supports HTTP, HTTPS, FTP, MMS and RTSP protocol as well as popular online video websites. EagleGet can be integrated to Chrome, IE, Firefox, Opera, and uses multi-threaded technology to boost downloads. 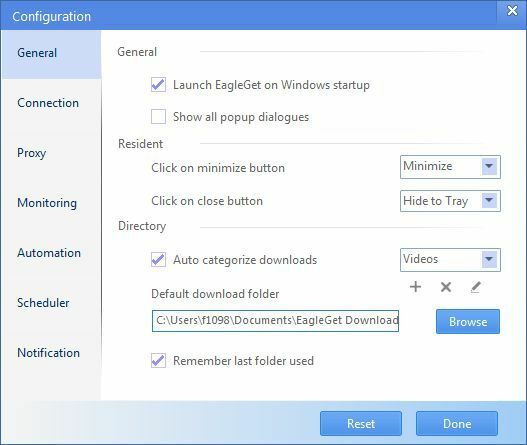 It has ad-free video sniffer, and EagleGet is the first freeware download manager that supports automatic refresh expired download links. Monitor running and completed tasks with TaskMonitor. Automatic run virus scan after download.